You all know how much I love sports fashion, so I was thrilled to be asked to shoot the new Vinti Andrews SS15 collection with one of my fave photographers, Oliver Cargill. 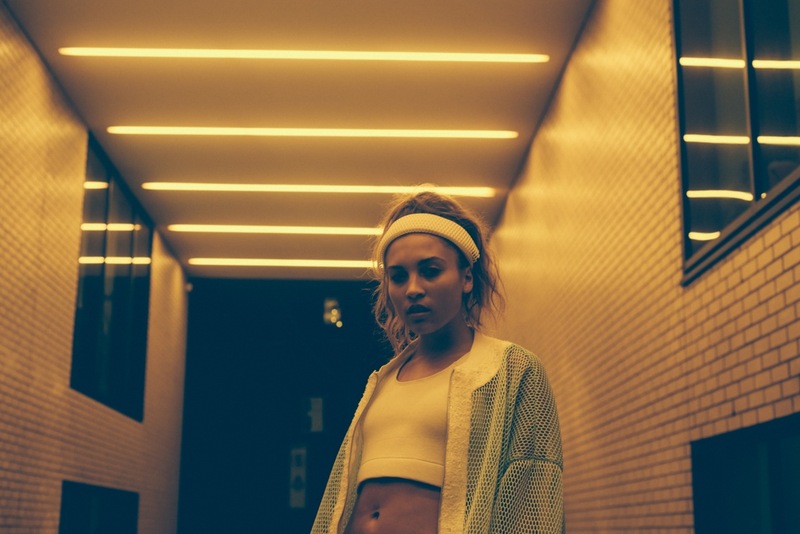 For those of you who aren’t familiar with the label, Vinti Andrews is the master of wearable sports luxe. A growing name that won’t be disappearing any time soon. Vinti Tan and Paul Andrews are the designers behind the name. 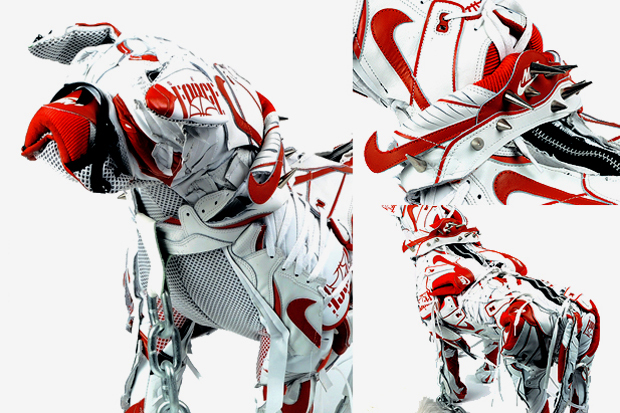 Previously collaborating with Nike to celebrate the 10th anniversary of the Air Max, they created life size English pit bull terrier dogs made entirely of Nike trainers along with a number of colourful bags, jackets and shorts. The duo effortlessly transform sport into pure premium fashion, twisting the boundaries of the contemporary scene- something that I’m really passionate about. I was lucky enough to meet designer Paul Andrews, who I have to say is the kindest, most genuine man I’ve met in a long time- making me like the collection even more! With sports luxe slowly moving from trend to lifestyle, Vinti Andrews has got it just right. Both of their men’s and women’s collections are super strong. You’ll see a variety of fabric, textures and techniques, resulting in unique, statement pieces with outstanding attention to detail. Although you may not be working out in their clothes, you’ll almost definitely be feeling great! As always, it was a pleasure to shoot with Mr Cargill. 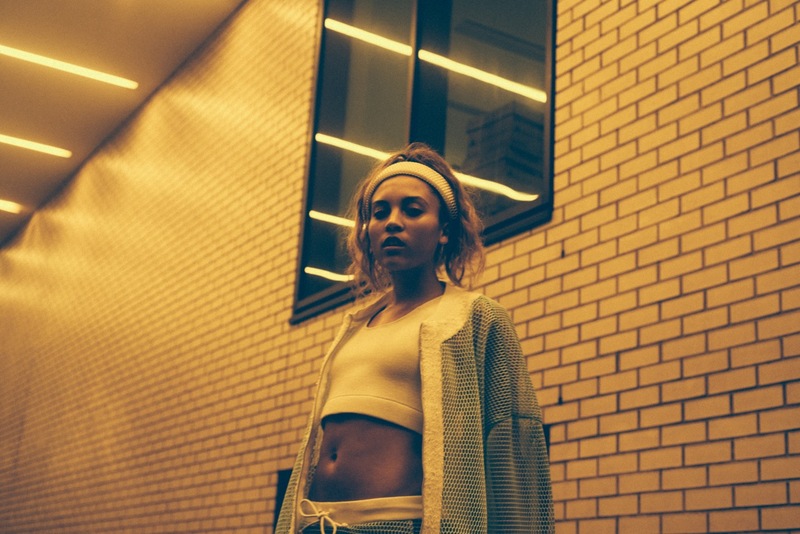 We created two looks on our night time London shoot. Here’s the first one, wearing this dreamy candy-coloured tracksuit… (I thought that I might be a little chilly, but the double mesh lining was actually nice and warm)! Check out more from Vinti Andrews, including the menswear range right here. < Top Tips for Glowing Skin!